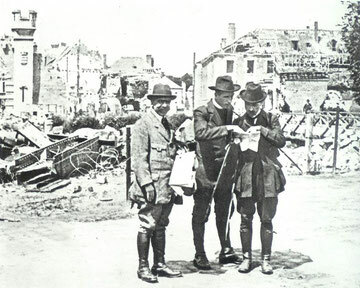 After returning to Paris, Teilhard continued his studies with Marcellin Boule in the phosphorite fossils of the Lower Eocene period in France. Extensive field trips took him to Belgium where he also began to address student clubs on the significance of evolution in relation to current French theology. By the fall of 1920, Teilhard had secured a post in geology at the Institute Catholique and was lecturing to student audiences who knew him as an active promoter of evolutionary thought. In 1922 Teilhard received a Doctorate with Distinction and was elected president of the Geological Society of France. Teilhard was now recognized as a master in his field and was consulted by his peers. The conservative reaction in the Catholic Church initiated by the Curia of Pius X had abated at his death in 1914. But the new Pope, Benedict XV renewed the attack on evolution, on "new theology," and on a broad spectrum of perceived errors considered threatening by the Vatican Curia. 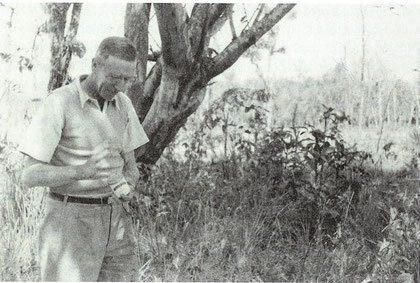 The climate in ecclesiastical circles towards the type of work that Teilhard was doing gradually convinced him field work in geology paleontology would not only help his career but would also quiet the controversy in which he and other French thinkers were involved. 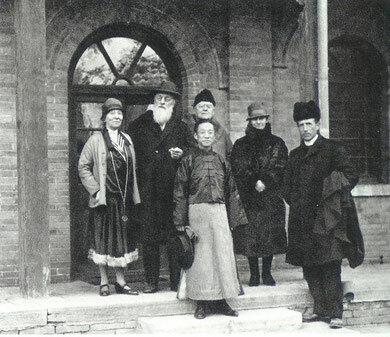 The opportunity for field work in China had been open to Teilhard as early as 1919 by an invitation from the Jesuit scientist Emile Licent who had undertaken paleontological work in the environs of Peking. On April 1, 1923, Teilhard set sail from Marseille bound for China. Little did he know that this "short trip" would initiate the many years of travel to follow. 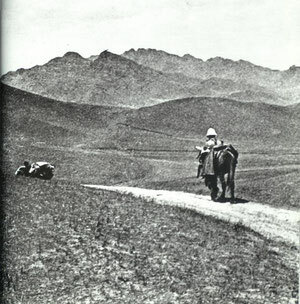 Along the Mongolian plateau on expedition to the Dalai-Nor, 1924. "When I am traveling by mule, for days on end, I say to myself, the 'Mass on the World' and I believe I say it now with more clearness of mind and conviction than before." 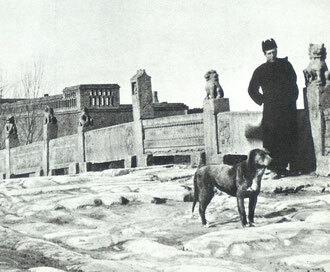 Peking, January 1927. From left: M. and Mme. Lacroix, M. Bouillard, Wong, Mme. Bloch, Pere Teilhard. Meanwhile Teilhard had been in correspondence with his superiors who finally allowed him to return to France in August 1927.